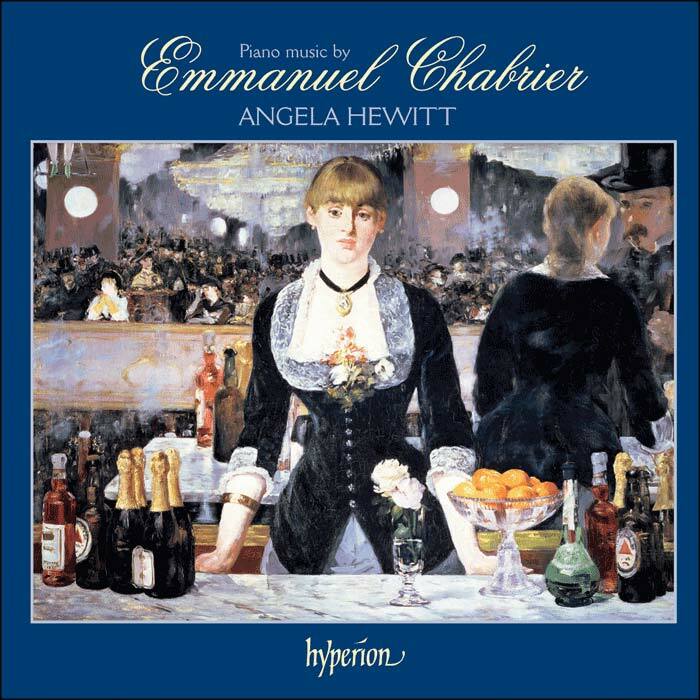 Fresh from her distinguished three-disc survey of Couperin, Angela Hewitt turns her attention to the piano music of Emmanuel Chabrier. An important influence for subsequent generations of French composers—most notably Ravel, who acknowledged his debt to the older composer—Chabrier’s music was appreciated more by his fellow artists than by the public. His best works—notwithstanding the popularity of his evergreen orchestral rhapsody España—deserve to be better known. Chabrier was a sensitive soul, prone to weep on hearing a single chord of Wagner, yet he cultivated a gaiety and sense of joy that is clearly heard in his music. 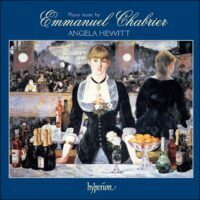 As one biographer wrote: “With Chabrier, burlesque went hand in hand with the sentimental; the picturesque was allied to the emotional.” Chabrier’s passion for painting was unmatched by any other composer, and he was friends with important artists of the day, including Manet, Monet, Sisley, Cézanne and Renoir. He had many of their paintings on his walls, and Manet’s celebrated A Bar at the Folies-Bergère — reproduced on the front cover of this recording—hung above his piano. Chabrier’s most important works are for the piano. The ten contrasting and evocative Pièces pittoresques form the centrepiece of this recording, and were described by Poulenc as being “as important for French music as the preludes of Debussy”. The remaining works are charming and varied character pieces. All are played with style and affection by Angela Hewitt, who with her renowned warmth and communicative flair makes a very special case for this music.